While there have -- as ever -- been endless rumors about the next handset from OnePlus, there has been very little concrete news from the company about the OnePlus 5T. Today that changes. OnePlus has made numerous allusions to the successor to the OnePlus 5 -- including tweeting pictures of five cups of tea -- but now chief executive Pete Lau has officially spoken about the upcoming handset. He confirms that there is definitely a 3.5mm headphone jack. In a post on the OnePlus forums -- which is topped off with an image labeled "this-is-the-oneplus-5t-render-no-doubt-about-that-png" -- Lau says there are various reasons for choosing to keep the 3.5mm headphone jack. One them is that industry trends are going against the core beliefs of OnePlus, who aim to give customers what they want. First, audio quality. When we surveyed the OnePlus community, 70 percent of users told us that their priority was sound quality. On the whole, wireless earbuds aren't there yet to provide the same quality of audio. Are the best wireless headphones comparable to the best of the wired? That's possible. But as you get closer to the under $200 category, the options are more limited. Keeping the headphone jack allows our users to continue to take full advantage of the excellent range of audio choices on the market. Not to mention our own Bullet V2 earphones. Second, user freedom. Nearly 80 percent of our users use in-jack headphones. 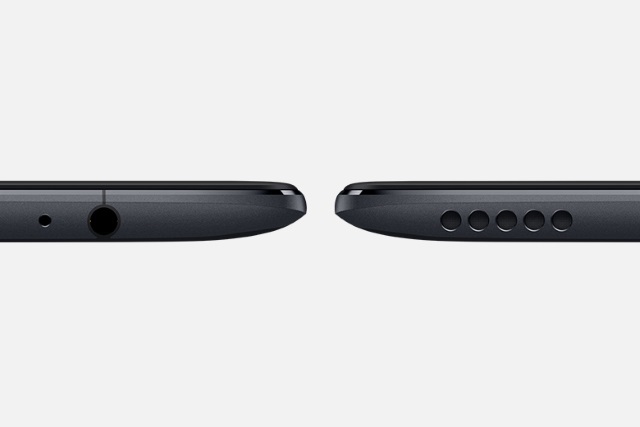 At one point, we thought about using another USB-C port to replace the 3.5 mm audio port. The advantage to USB-C is that it would have let us further slim down our flagships. However, the question we asked ourselves was whether replacing the 3.5 mm jack with a USB-C port would bring a noticeably improved experience for our users. In other words, is it worth the trade off? And our assessment was no, this design decision was not worth taking away our users' freedom to use their favorite earphones and accessories. There's still no official confirmation of when the OnePlus 5T will be released, or details of any further specs beyond the headphone jack, but it's something, right?